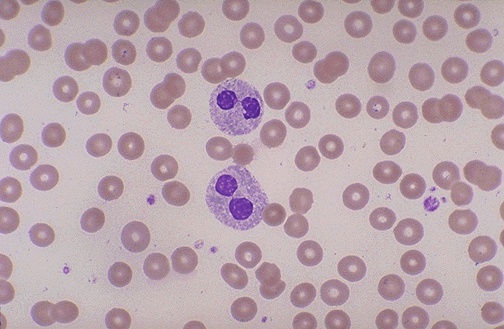 If most of the neutrophils appear bilobed, this is indicative of an uncommon condition known as Pelger-Huet anomaly, an inherited condition. This is the heterozygous form. The homozygous form may be associated with abnormal neutrophil function. Just be aware of this condition when you get back a manual differential count with mostly "bands", but the WBC count is normal or the patient shows no signs of infection or inflammation.